VVDI Key Tool user can buy a Clone 48 96bit Authorization since 01/04/2018. 1500 free points for calculations , this same as VVDI2. All users who have 48 96 bit activations in VVDI2 can combinate VVDI Key Tool with VVDI2 and use Keytool to clone 48 as well. 2. 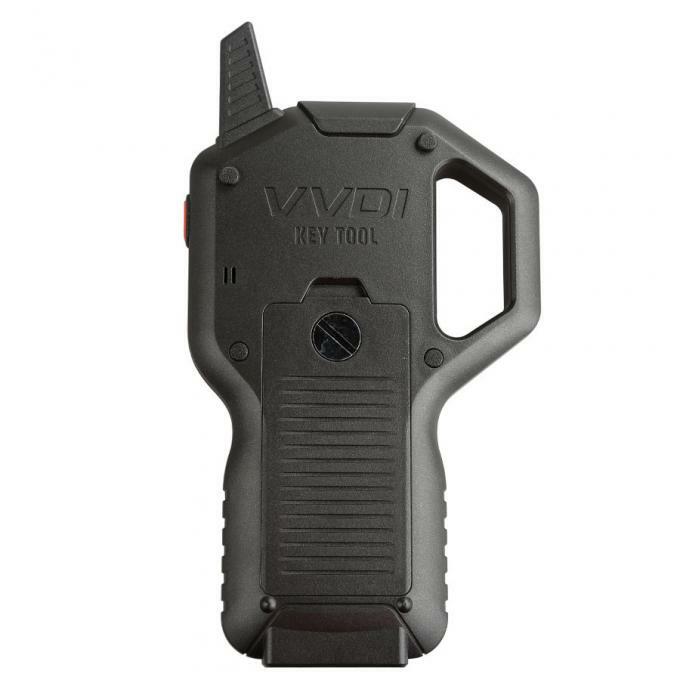 Xhorse VVDI Key Tool remote maker supports most common remote types in the market; it is reliable and easy to use. 3. VVDI key tool remote generator can perform these functions: edit transponder, clone transponder, test frequency, clone Remote, generate remote, generate garage door remote controller, unlock smart card etc. 4. In a word, Xhorse VVDI Key Tool is a device with multi-functions. 5. 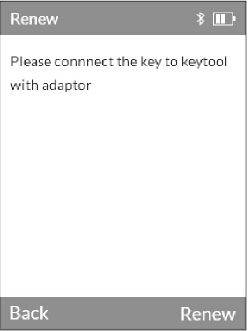 With VVDI Key Tool Adapters , can renew different kind of original used remote key(The Adapters need to buy separately,not include in the package). If you need VVDI Key Tool with adapters, please contact sales. Android system 8.0 version might be with problem when updating, if update failed please search VVDI or KEY TOOL to download the latest APP version at google play. Notes: please use the latest software version. Support identification all immobile Transponder in current market,clone & edit partial common Transponder. After enter transponder cloning function. Please put transponder on transponder detection area and press [OK] to identification. Partial transponder cloning need to lgnition data acquisition first,other types on need to sniffer data,press [OK] to start sniffer data. After cloning success,please press direction buttons 3 to view data details. Support generating hundreds of vehicle immobilize transponder.ID36/ID46 special transponder can be generated by Xhorse SN2 universal (wireless remote) support reuse again. Transponder generating funciton:brand-->vehicle model-->year/configuration.Please select [more vehicle model] to get the transponder type for next precess if can't find the proper vehilce model. Attention:Partial special transponder maybe locked permanent after generated,please pay attention to the tool prompt. Remote cloning includes HCS/fixed code cloning,non-HCS rolling code cloning and remote editing function. Support hundreds of vehicle and garage HCS rolling code remote cloning and generating.Generated remote should be re-programmed to reveiver box. Support all Xhorse Universal remote series. 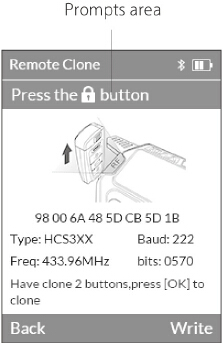 Support all fixed code remote cloning. Support partial vehicle non-repeated code HCS tyep remote direct cloning. Note:This type only support cloning by Xhorse universal wire remote series. Support all Xhorse universal remtoe series. 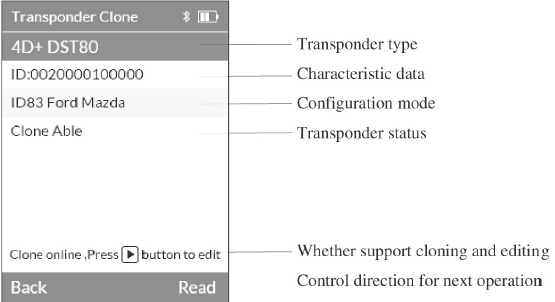 For remote cloning,in order to ensure the accuracy of frequency testing,please place the remote front surface close to remote testing area,and short press the relevant buttsons on remote as the device show you.Once receive data,evice will auto beep.During cloning precess,transponder type,baund,frequency and bits information are shown on the screen. Attention:When the data cannot be reveived,please check the remote battery and make sure the orignal remote is ASK code. 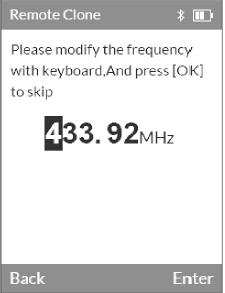 When testing frequency maybe not accuracy,please use direction buttons to modify the frequency value manually when generating remote. The HCS rolling code remote types may signal interface with original remote when cloning.Users can prepare new remote adapt to the car.When cloning remotes by SNseries (wireless) remote should be assembled with battery and placeed in transponder dection area,N series (wire) remote should remove battery and connected to remote programming port with programming cable. 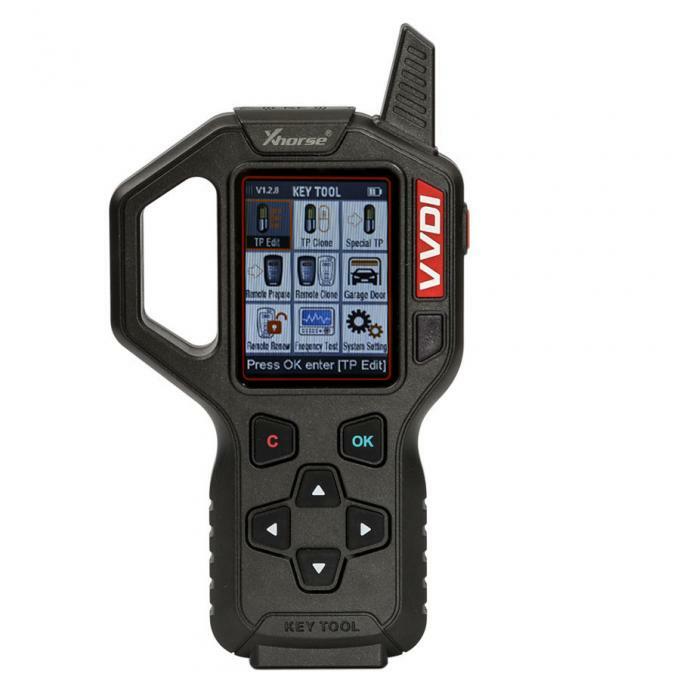 VVDI Key tool build-in more than 1200 vehicle models remote data (increased continuously),remote pictures and matching information,user can select the relevant data file according to actual vehicle model use Xhorse universal remote and match to the vehicle control unit by programming. Attention:Some chip on board remotes only support Xhorse SN series remote. When generating,SN series remote should be assembled with battery and placed in transponder detection area,N series remote should remove battery and connected to remote programming port with programming cable. 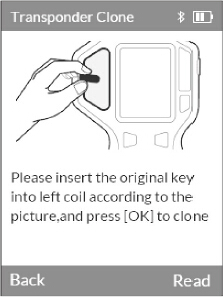 This function is not available for current version;please use the remote cloning function to clone the garage remote. VVDI Key tool build-in dozens of vehicle models for renew remotes (adding continuously),users can use renew adapter or soldering wires connect PCB to renew. 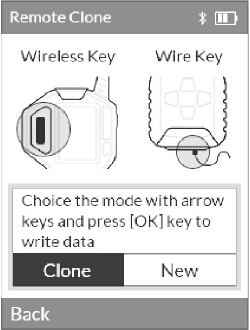 For renew remote function please contact your dealer get connection diagram. VVDI key tool supports 300-500MHz frequency,relative power,signal modulation and IR testing. 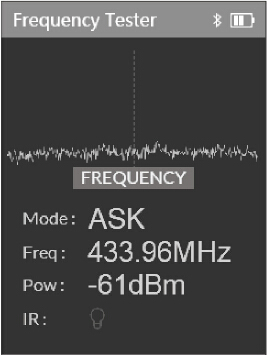 When testing frequency,user press remote button to transmit signal as below shown,the "green wave" moving at the left top of screen indicates that the frequency value and the modulation result are valid.When testing IR,please place the IR emitter head aimed at IR testing area,distance depends on signal strength,generally 15-80cm.A small red light will light on at the buttom of screen if the IR signal is detected. 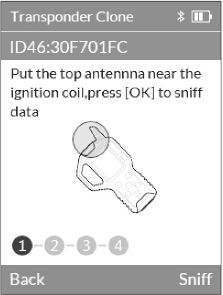 Place ignition data acquisition & signal testing close to vehicle ignition coil,if coil has transmitted signal the tool will beep means vehicle coil is working at the same time according to the transmitted signal tool prompts the transponder type used in this vehicle,support 36,47 and 4D,other types can not supported yet. Support 40/80 bit original Toyota smart key unlocking,insert original smart key with battery and place on transponder detection area,press unlock button to start.LED light on key PCB flashing intermittently indicates unlock success.If failed,please retry until unlock success. 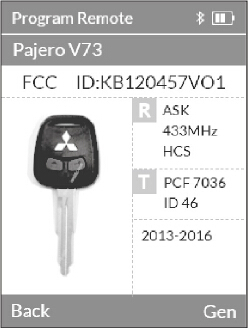 Used to initialize Xhorse SN series universal remote keys for different types transponder,support 11/12/13/46/47,after initialize success can be used for generating special immobilize transponder and mtach to the car. 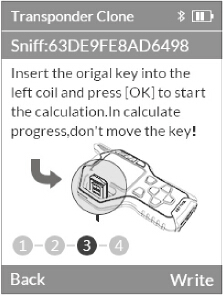 8.Use decode device to decode the remote key with the barcode. 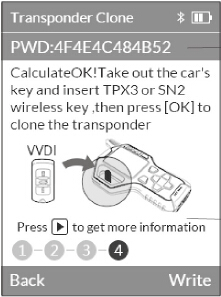 1.Add VVDI universal smart key(PROX) generate. Attention: This update only for North American or India English version(na,na-en,in,in-en). Other languages will be released on next week, please get Device Info to check language version. * Sure some models like F series, will not work, like to passed with VVDIprog. And Audi see error in the (C and J). 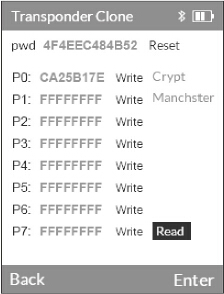 -Iden KEYDIE - (PCF7947) None Remote. 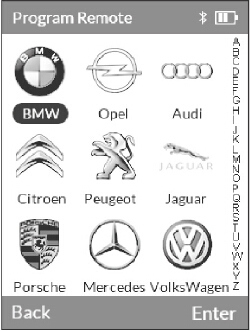 China Good Quality Automotive Diagnostic Tools Supplier. Copyright © 2012 - 2019 automotive-diagnostictools.com. All Rights Reserved.